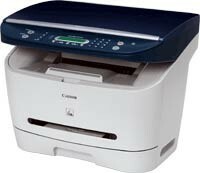 Laser Multifunction Printer MF 3110, Laser Functions: black & white printing A4 size, 600 x 600 dpi; 20ppm print speed; 64MB RAM. Scanning Scanner: Scan A4 color, 1200x2400dpi, 48 bit color CCD technology. Shot LBP 5200 Laser Printer, Color Laser Printer A4 size, 9600 x 600 dpi (max); 8ppm speed color printing; 8ppm monochrome print speed. Intel Network Adapter Set 10.3, the Software may only apply to Intel® Ethernet controllers 8255x, 82562, and 8254x, 8257x. Internal Modem Driver 90/92 4:20:01 SmartLink, This is the driver for the modem inside, the product line V.90 / 92. This is very common modem.